John Barry “Black Jack” Newman was born in 1862, in Chorna, Austro-Hungarian Empire. Newman arrived in the United States after 1876, likely in New York. In Pennsylvania he worked as a tram boy, pushing coal carts in a coal mine. In Michigan he worked in the copper mines. In Texas he signed on with the Texas & Pacific Railroad working on the roadbed. 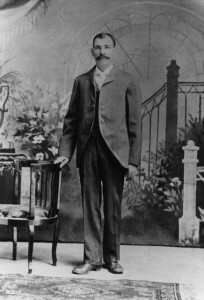 John Barry Newman arrived in Globe, Arizona in 1883. He first worked in the Old Dominian Mine as a mucker. Next he grubstaked a silver mine with a partner, who attacked him with a knife. Newman shot off his arm. His nickname “Black Jack” probably came from his excellent luck in cards. He parlayed the sale of mines and stakes into a real estate empire. With these profits, he built hotels, apartment houses, and the Revello Building in Globe. 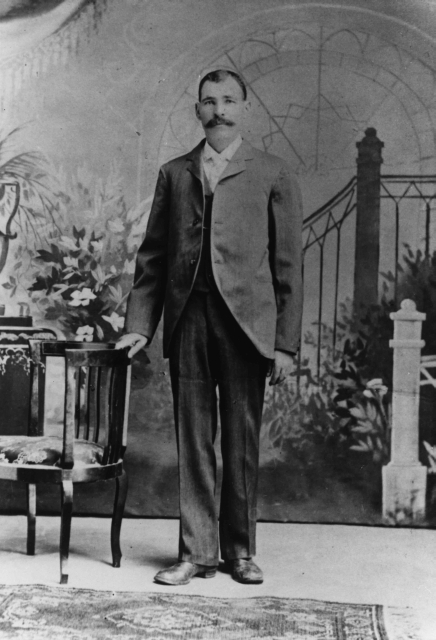 His Globe, Arizona companies included: The Inspiration Consolidated and Miami Copper Mines, and the Tippit Ranch. In 1907, the Miami Copper Mine paid off, defying investors’ expectations. 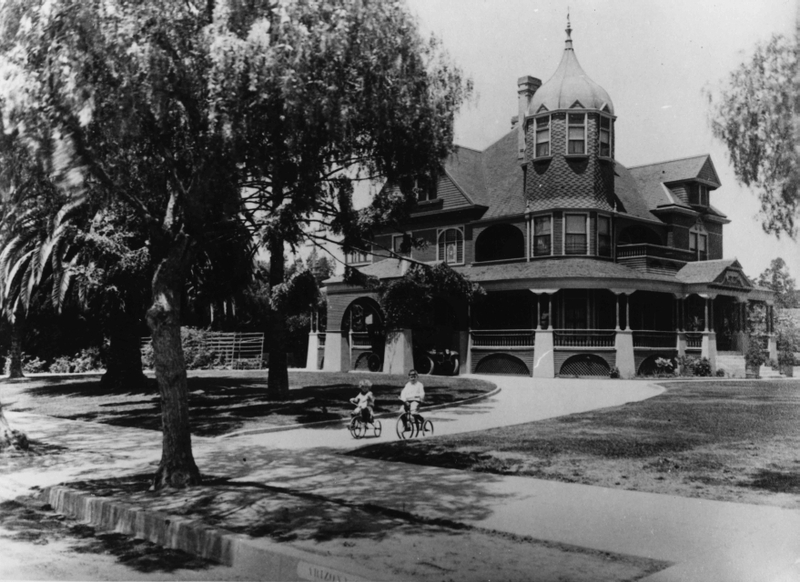 In 1910 the Newman family moved to Santa Monica, California to give his children a better education and environment. 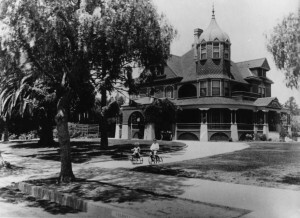 He ran the John B. Newman Company Real Estate and Commercial Building in Santa Monica. He also had a walnut ranch in Visalia, California. John Barry Newman served in Company “B” of the Arizona Territorial Regiment during the Mexican-American War. The Salvation Army was his favorite charity. Newman’s Jewish involvement is unknown. He brought over many relatives from Europe who then took on the “Newman” name. John Barry Newman belonged to Masonic Lodge #307 F.&.A.M. In 1904 Newman married Jemima “Mima” Tune Woosley. Together they had four children: Ollie Bell, Samuel, Ester Louise and Catherine Ruth. John Barry “Blackjack” Newman passed away in Santa Monica in 1928. He is buried in the Woodlawn Cemetery in Santa Monica. — Samuel Black, Santa Monica Evening Outlook April 9 and 11, 1928. Norton B. Stern and William M. Kramer, “Arizona’s Mining Wizard: Black Jack Newman,” Western States Jewish Historical Quarterly 11/3. Regina Merwin is curator of this John Berry “Black Jack” Newman exhibit.